I recently ordered this fantastic wall sign from SpunkyFluff on etsy. 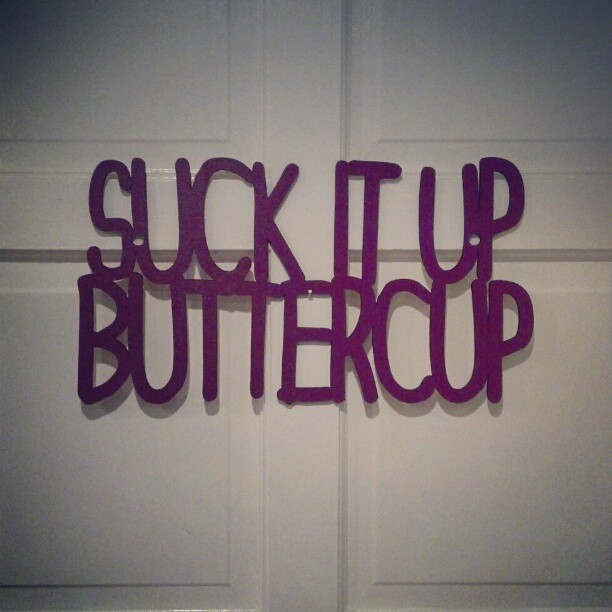 You should check out her shop, it's addictive - you'll want everything! "get out of bed and get to the gym"
"get off the couch and clean this house"
"finish your cry and get it together"
...which pretty much addresses my life concerns. Save a Life! 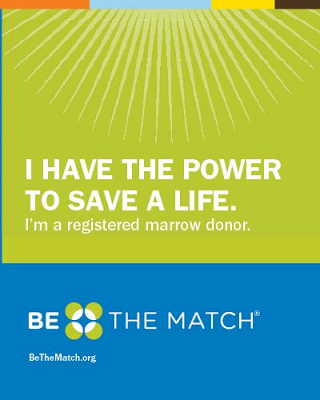 Join the National Marrow Donation Program! There is no cure for cancer, right? Well, for some patients with blood cancers like leukemia and lymphoma, there is. A bone marrow transplant. Donated from a healthy person like YOU. Now, don't freak out - it's not that scary. There are even non-surgical donation possibilities. Even with surgery, you'd be back to normal within 3 weeks. That's nothing - you just saved a life! If you're still thinking, I'm not sure... think of this: most of the registry is White. If you are Black, Pacific Islander, Asian, Hispanic, or mixed - you can make an even bigger difference. And if you're White, you can still save a life - matches are not based strictly on ethnicity. It is not a stretch to say that cancer will affect all of us in our lifetimes. Every FOUR minutes, someone is diagnosed with a blood cancer. What if it's YOUR child that needs the transplant? Your mom? Your spouse? What if it's you?